WHAT IF I DON'T HAVE A 2.0/70% GRADE POINT AVERAGE ? 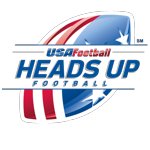 This form is to be completed by those participants in the Pop Warner program that have not met the National Scholastic Requirement of 70 percent and/or 2.0 Grade Point Average (GPA) at the time of certification. This form must be accompanied by a progressing progress report or report card to be eligible for play after the October 10, 2014 deadline. That report must be dated between Sep. 10, 2014 and Oct 10, 2014. *If no progressing progress report or report card is given in this window then the player shall be found ineligible for the rest of the year.